Let us remember a great member of the Global Community, Virginie Dufour, who passed away on 28th April 2000. What we have in the current Christian religious tradition is the St James version of the bible which is a readers digest version and has no parallel with the truth that the great avatar Jesus Christ actually taught, which is the same as what the Buddha taught. The Dalai Lama preaches, I believe, a somewhat distorted version of this. I believe that his presence on the world stage means that his teachings are to a certain extent venerated without adequate understanding. He, for example, doesn’t recognize the nature of the soul and believes in the void as the basis of mind which is something which was discussed and then clarified by Tien Tai the great Buddhist Sage and teacher to the emperors of China in about 400AD who systematized the teachings of the Buddha and was able to express the great secret law of life itself, which is in fact the secret hidden within the penultimate teaching of Shakyamuni Buddha, namely the Lotus Sutra. However, the Dalai Lama does preach complete compassion for all humanity and does express a deep reverence for the interconnectedness and oneness of all life. The Dalai Lama, judged by his words and actions, may be put in the same category of Buddha, Lao Tze, Jesus, Mahatma Gandhi, Francis of Assisi, Mother Teresa, Martin Luther King, Nelson Mandela, Oscar Arias, Desmond Tutu and the list goes on and on. Your negative statements about the Dalai Lama reveal, at the very least, that you have never read any book he wrote where he reveals the depth of his holiness and spirituality. This deeply spiritual man wants to help the Chinese through the opening of a dialogue with them who seem to have been reluctant to do so. I am not for this or that man but I am for what is right in the best interest of the welfare of all people without exception. You are dong a good job with your newsletter but this is an item you touched where you really went off guard. See comments in blue here below. Best regards. I agree with virtually everything you stated except for your negative statementson the Dalai Lama whom you misinterpreted and clumniated. We read in the holy scriptures: "Judge a tree by the fruit it gives." This means if the tree looks like an orange tree but produces lemons then we have to call it lemon tree. We all know that America identifies (so-called leaders), trains them, promotes and uses them, keeps a tab on them, and then discards them. Now the time has come to discard Dalai Lama. Hopefully, in the next general elections, Manmohan Singh, too, will be discarded for following the decadent USA and messing up with superior Indian values and principles of good governance. Unchecked climate change could spark instability in energy-producing states and lead to the collapse of fragile states around the world. Rising sea levels are what some nations fear most about global warming. But in Europe, climate change is likely to mean a new flood of immigrants from Africa and other poorer countries, according to a new report. 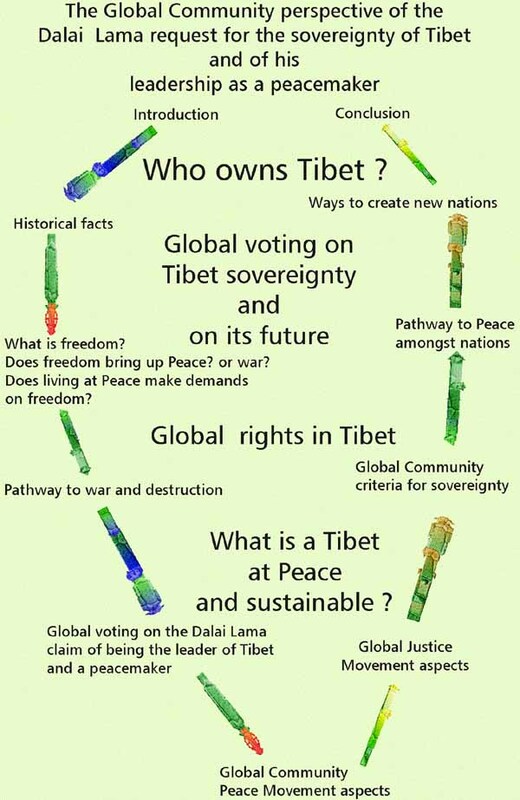 March 16, 2008 To respect Tibet and its specificity! Each day, 820 million people in the developing world do not have enough food to eat. Food prices around the world are shooting up, sparking food riots from Mexico to Morocco. And the World Food Program warned last week that rapidly rising costs are endangering emergency food supplies for the world's worst-off. Wealthiest countries are using more and more biofuels -- alcohol made from plant products, used in place of petrol to fuel cars. Biofuels are billed as a way to slow down climate change. But in reality, because so much land is being cleared to grow them, most biofuels today are causing more global warming emissions than they prevent, even as they push the price of corn, wheat, and other foods out of reach for millions of people. According to the U.S. Department of Energy's own Energy Information Administration, oil from the Arctic Refuge would have little or no impact on oil prices. Big Oil doesn't need the Arctic Refuge - polar bears do. Urge Congress to act immediately to protect the Arctic Refuge from drilling forever! Thank you for making a difference today. The Arctic National Wildlife Refuge is home to caribou, snow fox and millions of migratory birds. It is also the most important onshore denning habitat for America's vanishing polar bears. But this natural treasure is constantly under siege. Time and time again, the oil industry and their allies in Congress have sought to open this special place to harmful new drilling, threatening all of the wildlife that depend on it for survival. And now President Bush has called for drilling in the Arctic Refuge by 2010 in his new budget proposal! We need to permanently protect the Arctic Refuge! Pretty soon we will see a price on water just like there is now for carbon and carbon emissions. The right to use water will soon follow in the footsteps of carbon emissions and become a commodity, like the right to pollute, that industry will have to pay for, executives have warned. Understanding corn could be the key to social change that saves the planet and helps us create democratic communities and local food supplies. Soon there will be a meeting in Louisiana State between the governments of Canada, the United States and Mexico to discuss about the North American Free Trade Agreement (NAFTA). I urge all Canadians and Mexicans to oppose such an agreement. It is fundamentally flawed. Instead, Canada and Mexico must negotiate the establishment of the Global Government of North America (GGNA) with the United States to include all economic, social, cultural, and environmental aspects, and a veto power for each partner, and have that approved in a referendum by all Canadians and Mexicans. The Global Community Assessment Centre (GCAC) is the Centre of assessment of local/global indicators about the four major quality systems: Environment, People, Economic Development and the Availability of Resources. Ever since 1985, the yearly assessment of these indicators have resulted in giving the Global Community a sense of direction as to ensure a sound future for Earth. Local and global indicators developed by the Global Community have also been used as basic scientific information. The GCAC is about the restoration of the planet, our home. In order to do this GCAC will continue to amass a body of scientific information based on formal assessments such as those on Biodiversity, Climate Change, Human Development Report, World Development Report, struggle for Human and Earth Rights, life species Conservation, Health, Economic Analyses, Commission on Sustainable Development, etc., which have bridged the distance between incomplete science and contentious policy. Furthermore, no one really understands what assessment processes have been most effective in the past, or why others have failed. GCAC’s goal is to explore how assessment of local/global indicators can better link scientific understanding with the progressive implementation of effective policy solutions to global changes. Achieving this integration is fundamental. The Global Community needs this annual assessment to effectively manage global changes. GCAC has also conducted yearly surveys on global issues. An appropriate voting system was researched and developed by the Global Community through its Global Dialogue. The Global Dialogue is itself a way to ask people from all over the world to tell us their opinions and needs on global issues, and to participate in finding better ways of doing things. That is how we have developed the global concepts, the Global Constitution, the Federation, the Global Protection Agency (GPA), and many other aspects of the Global Community, and what made us the real governing body of Earth. We have researched and developed global laws, and we want everyone to comply with the laws. You have often been asked to vote on global issues. Once more we ask you to vote. Voting is part of our "we the people democracy". It is a the global referendum. It is direct democracy. You have been giving the freedom to choose. We want you to tell us the choices of your local community on global issues. A process was created for this purpose alone. GCAC manages it. Voting on global issues will now be a part of our monthly Newsletter. Vote now. Make sure you understand the process of voting. As a start, read about the Global Dialogue 2008 OVERVIEW of the process. Read the articles included here in this Newsletter. 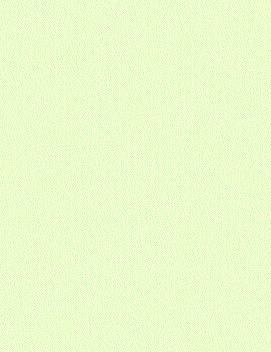 Just background. Choose a global issue from the list. You might want to propose your own global issue. Indicate that you do in your email to us. Then vote yes or no. Send us an email including both the global issue and your choice. We will include your choice in the table below. 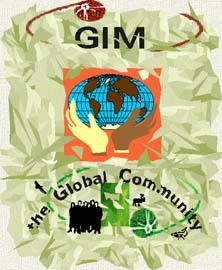 The theme of April Newsletter will be about the Global Community Peace Movement. We ask everyone to send articles, comments, projects, etc. 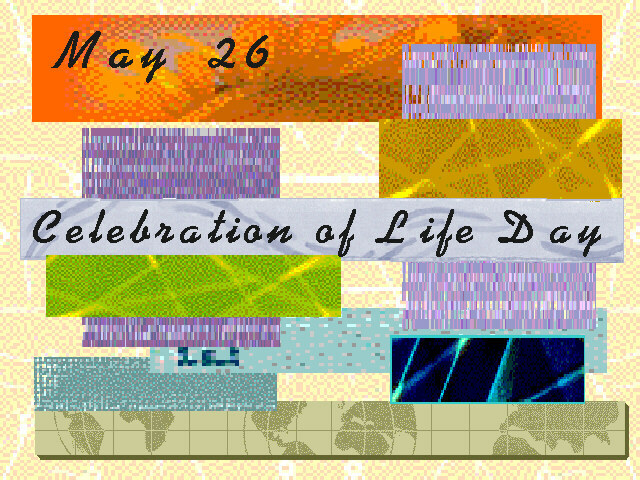 Again in April Newsletter, we will promote the coming Celebration of Life Day on May 26. Millions of people all over the world are celebrating. Tell us what you are planning to do on that day. On May 26, 2008, the Global Community is asking all Peoples of the world to participate in this celebration of Life in your own community. The following project is appropriate to everyone. Should the Global Community endorse Kosovo's break from Serbia? In view of the criteria for sovereignty of a people and the process developed by the Global Community regarding the creation of a nation, should the Global Community endorse Kosovo's break from Serbia? The Global Community says NO to the creation of Kosovo as a new nation. This result was very much predictable as the Global Community has researched and developed a process for the creation of a new nation through the Earth Court of Justice. Now we know the Court was not involved in any way. Instead we know that some people in Kosovo decided to force the creation of Kosovo knowing that another nation, the United States, with WMDs, a large military power, would support such creation. And that is wrong and illegal! The same kind of madness has been involved with the creation of the State of Israel. In 1947, when there were over one billion Moslims and Arabs opposing the partition of Palestine, suddenly the USA came along to coerce the UN membership and created the State of Israel, an area already overcrowded and politically volatile. How come?! Well! We all know now but fear to say it. It is because the USA wanted the oil and gas of the Middle East to build the biggest military power of the world, with all the WMDs you can ever imagine and more. The mother of all invaders!! Hitler seems like a kid in the block compared to the USA. Americans are spending about a few billion dollars (Canadian $) a year to operate their permanent military bases in Iraq. Very little money indeed! Global Community Assessment Centre has estimated that the profit they will make over the years from stealing the oil and gas resources of Iraq will be about 40 trillion dollars. The White House deliberately and strategically from 1947 on, made use of its military to plunder the resources of the Middle East nations. The same kind of scenario will happen again but this time in Kosovo. These wars are statements of guilt on the part of Israel being the 'US-milpost' and of the leadership of Israel being of military type, and that in fact, Israel is the Trojan Horse of the US for the invasion of the Middle East and neighboring nations, including Russia, India and China. The White House is still trying to make the world believe what they have done was the right thing to do. The next generations of Americans will have to live with the fact that their wealth, their goods, their fake righteousness, their out-of-control lifestyle, their ways of doing things, their prosperous economy, their civilization, all of it, is due to the plundering of Iraq, to blood oil and gas. Blood money! Blood resources is not the way we should be dealing with the rest of the world. Nothing to be proud of! People used to look up to Americans! Now they dont! And the fact remains that Israel was the Trojan Horse for the invasion of the Middle East. This is when the American invasion of the Middle East was deliberately started by the White House. A well planned strategic military invasion to plunder the resources of an other nation! Blood oil and gas! The UN had no right to create the State of Israel. They forced their way into over one billion Muslims and Arabs and have done ever since. It has become a necessity to implement a total and global embargo on all American consumer products, goods and services, and mass destruction chemicals, nuclear war heads, weapons, war products and war equipment. The war industry throughout the world must be put to a complete halt and shelved forever from humanity. Let us call 'blood oil and gas' the oil and gas produced in a war zone in order to finance an american invasion, and the american economy, or supporting a White House Earth resources exploitation. We could extend the name to 'blood resources' or 'blood Earth resources' to mean any Earth natural resource. Geopolitical boundaries between nations are gradually disappearing to make place to georesources boundaries. Blood oil and gas is illegal and the Agency of Global Police has already got a Global Community Arrest Warrant against Bush and Cheney. They are dangerous criminals. Concerning Kosovo's break from Serbia, you can be sure there is a military reason for the USA to support its creation. Just like with the State of Israel. Kosovo's break from Serbia would help the USA establish a military base in Kosovo and put pressure on Russia. It is not really about creating a new nation, but it is about establishing a military base close to Russia. And that can only threaten global security.